SiTek welcome all customers and suppliers to our booth F02:39. We will be at your service on the 14th to the 15th of April and we will be most pleased to tell you more about our position sensing detectors (PSDs) and how you can use their unique features in your application. 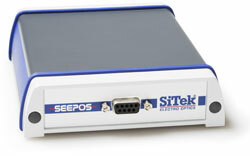 Take the chance to see our latest development SEEPOS, a PSD read out electronics with unique capability to optimizie your measurements.